On Wednesday 28 January, the new Czech government was officially sworn in. It had not been a short wait – 95 days since the elections and 169 days since the previous (caretaker) government lost a vote of confidence are both record time-frames for the country. The new government is the first one led by the Czech Social Democratic Party (ČSSD) since 2006, when the self-assured socialist leader Jiří Paroubek failed to win the election, losing to the often cocky leader of the Civic Democratic Party (ODS) Mirek Topolánek. Since EU accession in 2004, the Czech Republic has gained a reputation as a country with, at best, a cold attitude towards further European integration. In my opinion, this image (and the political actions of the country’s leaders) does not reflect well the actual stances of the Czech electorate. Although I do not have an in-depth analysis at hand, I find it ironic that for most of the time when the country was governed by a eurosceptic government and president, the support for the EU membership was rather high and stable (see Eurobarometer), then, a largely pro-EU party takes the lead just when membership support falls following the economic crisis. I think this is an indication of a wider problem where governments are not necessarily in accord with their electorate on European issues. How did the Czech Republic actually become the EU’s nasty child? I would argue that its EU policy had been hijacked by a relatively small number of politicians, most notably Václav Klaus. Former President Klaus, who started accession talks as ODS Prime Minister in the 90s, developed a strongly eurosceptic position, and in the absence of a strong governmental position on EU issues often dominated the country’s external image. The new government can be expected to change the course of policy – for the first time since 2006, the prime minister, the foreign minister, as well as the president are all generally pro-EU. That being said, it should be noted that the second largest coalition partner ANO is rather unpredictable at this point (and surely less fond of deeper integration) and might block any fundamental decisions, depending on the current public opinion and political situation. Feuds between the President and the Prime Minister (as well as other prominent ČSSD ministers) could also get in the way of political stability and strong policy decisions. For those who are not well-oriented in Czech politics, please take the following overview of the main political actors and their positions as an attempt to provide more information about the country’s new representation, which will likely play a more active/constructive role in the EU. Of course, these are my personal observations, so any comments and suggestions are more than welcome – I will happily amend the overview later. 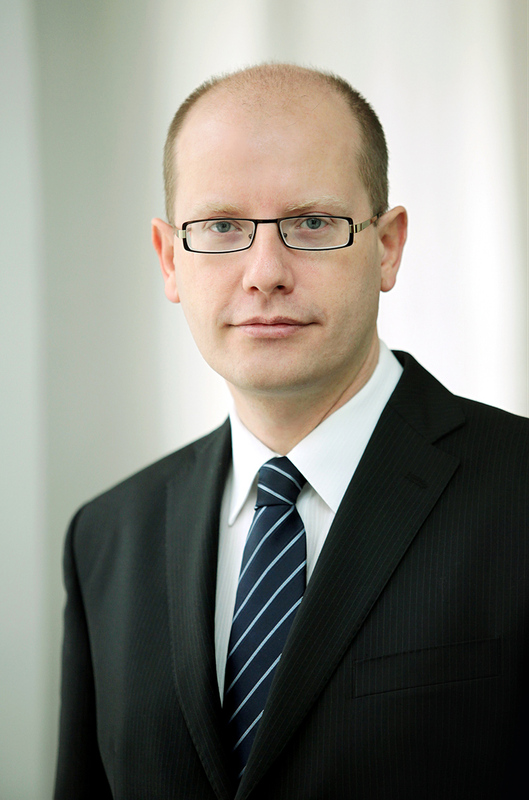 Mr Sobotka could be described as a career politician – as a founding member of the Czech Young Social Democrats, he quickly rose within the social democratic party, becoming one of the youngest MPs in 1996 and Minister of Finance from 2002 to 2006. He is often criticised for increasing the country’s debt in a period of high economic growth. This was widely used by the right-wing parties (particularly in the 2010 campaign) to argue that under a left-wing government the country would follow the fate of Greece and Hungary. After the often heavy-handed and controversial socialist leader Paroubek, Mr Sobotka is seen by many as an improbable leader, lacking charisma and a strong position. However, he managed to secure his party leadership several times fighting battles with the strong ‘conservative’ wing allied with Mr Zeman (a former ČSSD leader himself). The latest internal ‘coup’ attempt occurred when a group of high-ranking social democrats held a secret meeting with President Zeman, apparently plotting to replace Mr Sobotka. It played out well for him: few would have expected a crowd would be demonstrating in support of a socialist leader in front of the Prague Castle, the president’s seat, in a city where just a few years ago a crowd bombarded ČSSD politicians with eggs. Much like most of his party, Mr Sobotka has been consistently pro-EU, although he did not put much emphasis on EU policy during the election campaign. 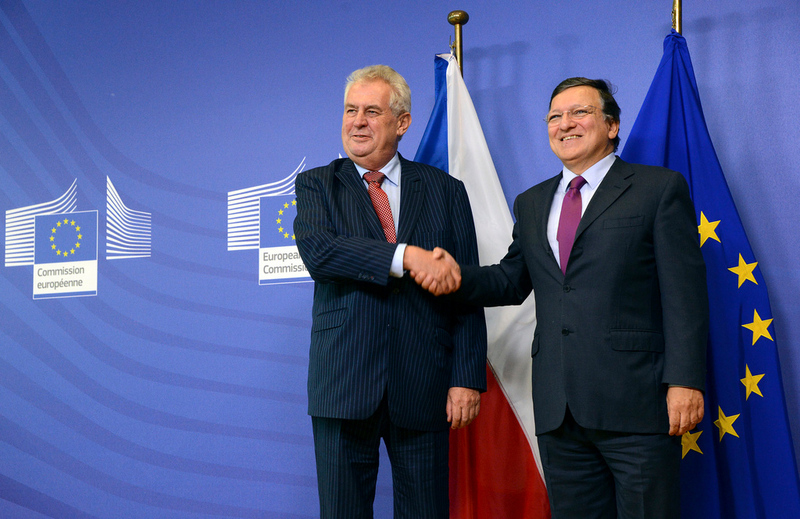 Given his conflict with Mr Zeman, he might attempt to position himself as a leader also in foreign policy. Mr Zaorálek is, like the Prime Minister, a member of the (relatively) progressive wing of the ČSSD party and the mutual antipathy between him and President Zeman is well known. A seasoned member of the Parliament’s foreign committee, he was a clear candidate for the foreign minister position. Mr Zaorálek is strongly pro-EU. At a press conference following on the first day in office, he said that the Czech Republic could not ‘refuse its responsibility for the EU’. ‘Unfortunately, in this country, ten years after the EU accession, the idea that Brussels is somewhat like Moscow is still strong,’ he added. He also confirmed that the government would strive to join the euro zone and the fiscal compact deal as soon as possible, although no concrete dates have been agreed so far. There have been hints at his less pro-Israel position (note that the Czech Republic was one of the few countries which voted against Palestine’s non-Member Observer State status in the UN) and generally less hawkish foreign policy stance. This might lead to some conflicts with President Zeman. On the other hand, Mr Zaorálek has had his questionable moments, undermining his image as a minister likely to follow the European foreign policy mainstream. In 2009, he visited Georgia during the conflict with Russia – which would be fair enough, except that he came from the Russian side, reportedly on board a Russian armoured vehicle. With a like-minded prime minister and president, he might be able to equate his position into a real policy shift, unlike former Foreign Minister Karel Schwarzenberg. Mr Zeman is probably the most controversial and colourful Czech political player at the moment. Having served as one of the most influential prime ministers, he abandoned politics in 2003, following a lost presidential election, which left him sour and angry at a part of his own party which did not support him – the wing Mr Sobotka and Mr Zaorálek belong to. 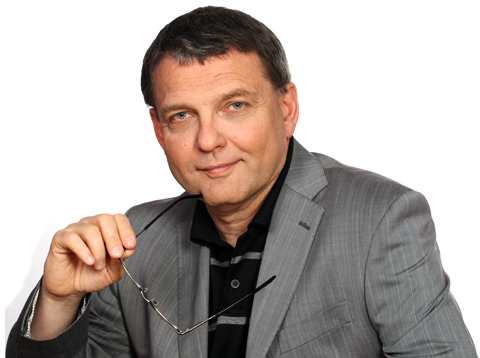 He came back, though: in the 2013 presidential election (the first direct one) he ran for his own party SPOZ, left ČSSD’s candidate (Jiří Dienstbier Jr., a current minister) behind in the first round and closely won over the right-of-centre candidate Karel Schwarzenberg in the second. If Mr Klaus was known for pushing the boundaries of his constitutional mandate, Mr Zeman has continued this trend even more openly, encouraged by his position as the first directly-elected president. His high moment came when the ODS-led government collapsed last summer among allegations of the misuse of the secret service – Mr Zeman installed a caretaker government dominated by SPOZ members and his other close allies, which, having lost the confidence vote, ruled without a mandate from the Parliament for the already-mentioned record period of five and a half months. However, his position is now weakened: firstly, his SPOZ did badly in the parliamentary elections, and then he failed in his apparent attempt to prevent Mr Sobotka from becoming prime minister in favour of leaders of ‘his’ wing within the ČSSD party. Mr Zeman claims to be an EU federalist, but his actual position is often unpredictable. He tends to use simplistic and populist claims (such as when he, misleadingly, accused the EU of spoiling his favourite alcoholic drink). Unlike Mr Zaorálek, he is known for his hawkish foreign-policy opinions, which may cause a conflict with the foreign minister. He often cannot help but cause a scandal during foreign visits, such as when he spoke controversially about the expulsion of Sudeten Germans after WW2 in Austria, or when he jokingly asked an RTL reporter whether she was a Taliban or al-Qaeda agent (he is known for his contempt towards journalists, whom he often mocks and insults). A passionate smoker, he notably supported Phillip Morris aggainst the tobacco products directive proposal. 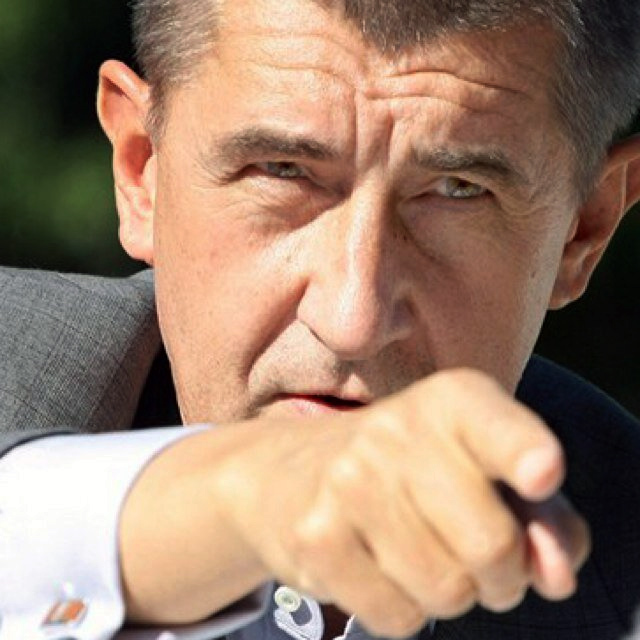 Andrej Babiš is in a way the true winner of the last parliamentary elections – running for the first time in 2013, his party, ANO, came second, not far behind the winning CSSD, which had been expected to do better. Thus Mr Babiš suddenly became a major political figure. Mr Babiš, owning the country’s largest agricultural conglomerate, is one of the country’s wealthiest people, allowing him to buy a major media house (publishing several daily newspapers) shortly before the elections, earning him the moniker of the ‘Czech Berlusconi’. Although it should be said he appears to be a much more conventional person, he too has a suspicious past. His alleged cooperation with the state’s secret service before 1989 has been widely publicised; yesterday, he attended a court hearing in Bratislava where he sued a Slovak institution for starting this allegation. However, neither his shady pre-revolution past nor his suspicious business practices seemed to matter much to the 18.65% voters who supported his party. With a party backed by a number of experienced advisers and a (so far) good relationship with President Zeman (who could support him in any potential conflict with the Prime Minister), he has a chance to remain a strong political figure. Riding on a wave of general discontent with old political parties (which nearly sent the ODS out of the Parliament and cost the CSSD a clear victory), Mr Babiš and his party have not been very specific on many issues, including the EU policy. Mr Babiš can be expected to be mildly eurosceptic – although his proclamations have been mostly vague, he has indeed claimed that he opposes further integration, that the Czech Republic should not join the euro zone [EDIT: more recently he specified he does not support committing to a specific date for the adoption of euro (he considers weak Czech crown better for exporters); on Facebook he revealed he thinks the country will not adopt euro in the next 6 years] and that the EU should not interfere with the Czech budget or taxes. Given his stake in the agricultural sector, he has strong opinions on the Common Agricultural Policy, which he claims is unfair to Czech farmers. Allegedly, he lobbied actively – although not successfully – on this matter through the former diplomat and short-time Commissioner Pavel Telička, who could become ANO’s leader for the EP elections, most likely joining ALDE in the Parliament. 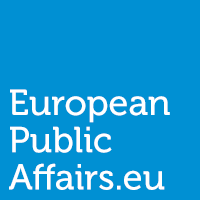 Better Ownership of the EU: Key to Higher Turnout in the European Elections?